Rowe Advisory will, as far as practicable, provide a safe work environment for the health, safety and welfare of our employee/contractors, contractors, visitors and members of the public who may be affected by our work. Ultimately, everyone at the workplace is responsible for ensuring health and safety at that workplace. Rowe Advisory demands a positive, proactive attitude and performance with respect to protecting health, safety, security and the environment by all employee/contractors, irrespective of their position. It is Rowe Advisory policy to provide all employee/contractors with a safe and healthy workplace by identifying, assessing and controlling manual handling risks. While management is responsible for the health, safety and welfare of all staff, all employee/contractors must report potential and actual manual handling hazards. Never lift or manually handle items larger or heavier than you can easily support. If you are in any doubt, do not hesitate to ask for help. All employee may be eligible for workers’ compensation benefits if injured while at work. All contractors / consultants must contain workers’ compensation in accordance with their contract with Rowe Advisory. Rowe Advisory has a non-smoking policy. Smoking is not permitted on Rowe Advisory or their clients’ properties or in offices at any time. Rowe Advisory is concerned by factors affecting an employee/contractor’s ability to safely and effectively do their work to a satisfactory standard. The business recognises alcohol or other drug abuse can impair short-term or long-term work performance and is an occupational health and safety risk. Rowe Advisory will do its utmost to create and maintain a safe, healthy and productive workplace for all employee/contractors. Rowe Advisory has a zero-tolerance policy regarding the use of alcohol and illicit drugs on their premises. When at client premises the relevant policy or standard of the client is to be followed. Contravening either of these points may lead to instant dismissal. Rowe Advisory, at times, makes alcohol available to staff over the age of 18, outside of the workplace. Limiting the consumption of any alcohol made available is the responsibility of the employee/contractor, however will not be promoted by Rowe Advisory management. Driving over the legal limit or under the influence of illicit drugs is illegal. Rowe Advisory is committed to maintaining a sustainable and environmentally responsible mode of operation. This commitment is intended to comply with all relevant local and national laws and regulations relating to the environment. It is the employee and contractors’ responsibility to ensure all confidential material, electronic devices and personal belongings are kept safe and secure at all times. Rowe Advisory does not take responsibility for lost or stolen property. Rowe Advisory encourages all employee/contractors to continue to maintain a positive image through a Clean Desk Policy. Lock away all portable devices. Rowe Advisory are active contributors within the social responsibility space for a small businesses. Among their charitable donations and support, Rowe Advisory are currently focussing their efforts on championing not-for-profit organisations, Sight For All and previously Red Kite. Our Chief Executive Officer and Sight For All, Board Director, Jody Rowe, is one of the lucky 12 people who completed the Trek For Sight in Bhutan in 2018. In April 2018, Jody participated in a once in a lifetime opportunity to trek with Adventurer Katie Sarah while experiencing the beauty of Bhutan and raising vital funds for blindness prevention organisation, Sight For All. 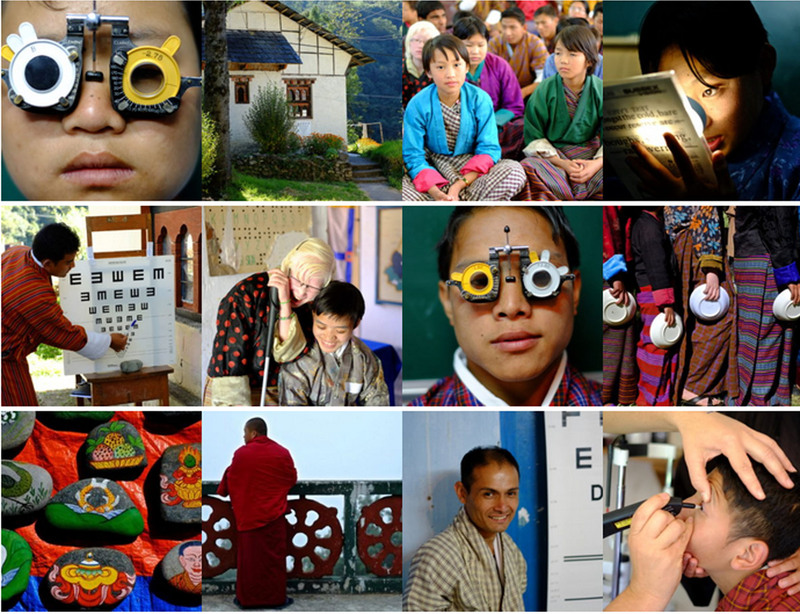 Sight For All raises funds to deliver eye health-care projects free of charge to its partner countries and communities. 1.4 million children are blind with Asia home to thirds of the world’s blind children. Up to half of all children in schools for the blind in developing countries have blindness that could have been avoided. Redkites vision is to support every child, teenager and young adult with cancer, and their family, who need them. Every child and young person’s experience of cancer is unique. To give a child or young person the best chance of managing the cancer journey positively, the whole family and each individual needs to be supported to manage their unique cancer experience. By alleviating the financial and emotional stress and enabling children, young people, their families and their support networks to develop their strengths and skills, Redkite assists the whole family to achieve that positive end. At Rowe Advisory, we are dedicated to creating an inclusive and supportive workplace culture where employees and clients feel respected and accepted for their different qualities, ideas and viewpoints. Our cultural diversity is one of our greatest strengths and is at the heart of who we are. We foster a workplace that recognises the diverse skills and perspectives that our employees may bring; gender, race, ethnicity, disability, age, sexual orientation or other difference. We are culturally diverse, with women making up 30% of our team, this adds value to all our work and for our clients. QRC currently sits at 12% with a target of 20% by 2020. These targets have been integrated alongside offering employees access to flexible working arrangements. Rowe Advisory’s Chief Executive Officer, Jody Rowe, has shifted attitudes from the idea that a productive employee must be in the office and visible, to a flexible working model that provides a supportive, passionate environment. Attitude is everything at Rowe Advisory and we believe this is best demonstrated by our energy and flexibility. Our solutions range from fully outsourced services right through to scope specific projects. Celebrating cultural awareness days/weeks and events that promote diversity and inclusion. Every year we celebrate Harmony Day; a day of cultural respect for everyone who calls Australia home. Now that Rowe Advisory has grown to 25 consultants between our South Australian and Queensland headquarters it is more important than ever that we maintain and nurture these values both among our new and current employees.